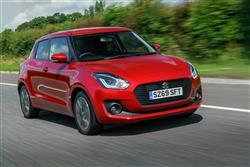 Suzuki's sixth generation Swift supermini has been improved. But not beyond recognition. Jonathan Crouch reports. With the sixth generation version of their Swift supermini, Suzuki have stayed true to the design principles that have long served them in the small car sector, low running costs, high quality and a spacious cabin being the highlights. The car is now lighter and more spacious, plus there's the option of mild hybrid technology. Buying a car from a budget brand isn't usually something anyone does by choice. But the cost savings over more familiar options are often hard to ignore, especially when it comes to superminis. So what if you could pay budget brand prices, yet get mainstream quality? That's exactly the proposition this little Suzuki Swift has always aimed to serve up. Previous Swift models have certainly been convincing in this way, more than a million of them having been sold in Europe since 2005, with 127,000 of those in the UK. This MK4 model comes from the same platform also recently used for the brand's similarly-sized Ignis and Baleno models, underpinnings that save this car 30kgs in weight over its predecessor. 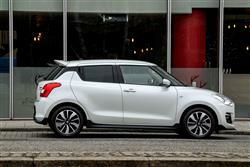 Pair that with the potential for mild hybrid technology and an efficient little supermini seems in prospect. As for the roadgoing experience, well you can expect the same kind of entertaining drive the Swift has always specialised in delivering. And engine-wise? 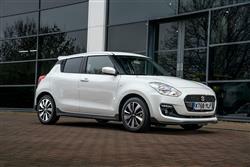 Well these days, there are no diesel options, Suzuki limiting Swift buying choices to two main petrol engines. There's an 90bhp 1.2-litre four cylinder Dualjet unit mated to a 5-speed gearbox. Or a 1.0-litre three cylinder turbocharged 'Boosterjet' powerplant which offers 111bhp and can be ordered with auto transmission. The 'Bosterjet' powerplant can be had with the option of mild hybrid assistance. Suzuki calls it 'SHVS' or 'Smart Hybrid Vehicle by Suzuki' technology and it's based around the use of what's called an 'Integrated Starter Generator' powered by a tiny 0.2 kWh lithium-ion battery that sits under the driver's seat. This set-up harvests kinetic energy when you brake and converts it into electrical energy. Not the kind that could take you short distances on electric power alone - the battery isn't big enough to allow for that. Instead, the regenerated energy is used to power the standard engine stop/start system and also to provide a mild extra power boost as you accelerate - around 50Nm of extra torque for up to 30 seconds. As for the looks, well this is still recognisably a Swift, familiar cues including the wraparound windscreen, the upright headlamps and the smiley lower air intake. This five-door-only MK6 model is 40mm wider than its predecessor, but also 10mm shorter and 15mm lower. More significantly, thanks to its new platform, it's also significantly lighter, tipping the scales at a mere 890kgs in entry-level trim. Even the hybrid version is just 925kg. Inside, the cabin no longer has quite such a budget brand feel, thanks to a re-designed dashboard and the installation of more supportive seats. Cabin storage space isn't that great though - the glovebox is notably small. A longer wheelbase delivers more interior space too. Suzuki says that the hip point measurement has been lowered by 20mm in the front and as much as 45mm in the rear. Two fully-sized adults will be quite happy here, as will three kids. 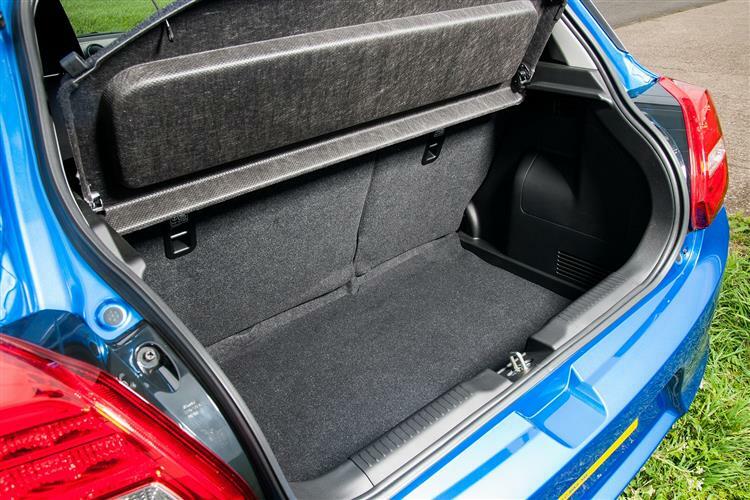 The boot's bigger too, now 25% larger, with capacity increased to 265-litres. That's easily enough for a couple of carry-on bags. Affordability has always been a Swift strength and like so much else, that hasn't changed with the latest car. There's no three-door bodystyle any more and prices start at around £11,000 for the 'SZ3' variant, but most models will be sold in the £13,000 to £15,000 bracket. The 'SZ3'-trimmed variant comes with six airbags, air conditioning, a leather steering wheel, a DAB radio with Bluetooth and four speakers, rear privacy glass, LED daytime running lights, 15-inch wheels, body coloured door mirrors and front electric windows. The plusher SZ-T model adds a rear view camera, a Smartphone link display audio system, 16-inch alloy wheels and front fog lamps. Meanwhile, at the top of the range, the 'SZ5' features auto air conditioning, 16-inch polished alloy wheels, satellite navigation, an advanced forward detection system, keyless entry and start and rear electric windows. The SZ5 is available with a six speed automatic transmission as an option. As you'd expect in this day and age, every model has ABS anti-lock brakes, ESP stability control and a brake assist function for emergency stops. There's also a tyre pressure monitoring system, along with twin front, side and curtain airbags, plus there are two Isofix child seat mounts in the rear bench. While the Swift has always been cheap to buy and reliable, its fuel economy and CO2 emissions tended to let the overall cost of ownership down a little. That's no longer the case, with the latest model achieving some standout returns at the pumps. The 90bhp 1.2-litre variant manages 65.7mpg on the combined cycle and 98g/km of CO2. The 1.0-litre turbo 'Boosterjet' engine manages 61.4mpg on the combined cycle and 104g/km of CO2. It's worth looking at the mild hybrid option here. This set-up reduces CO2 emissions by 7g/km, improves fuel economy by 4.3mpg and saves £20 on first year VED tax. What about other costs? Well, every version comes with a three-year, 60,000-mile warranty to match most rivals. There's also a year's breakdown cover that extends across the whole of Europe and includes roadside recovery. A 12-year anti-rust guarantee comes with the car too. Service stops are needed every year, while those models fitted with the 1.0-litre Boosterjet motor will need a scheduled halt every year or 9,000 miles. 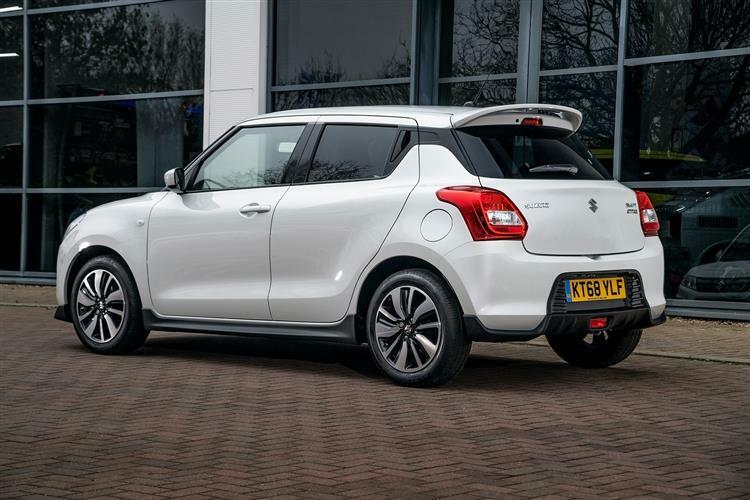 Once your Swift has been registered for three years, it will become eligible for Suzuki's fixed price service package which will enable you to get servicing carried out for a single fixed price that will include parts, labour and VAT. 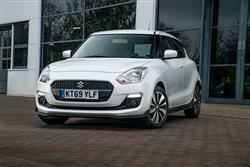 There are around 180 Suzuki dealers in the UK and they're noted for excellent customer service. You can also even cut the cost of regular maintenance with a 'Service Payment Plan' that covers you for anything between one and three garage visits. 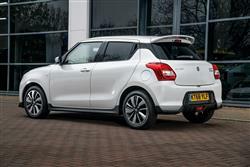 The Swift has always been known as the thinking person's supermini selection - and very little has changed in that regard with this sixth generation version. You come away from looking at one thinking that Suzuki deserves a higher profile than it currently enjoys in the UK - but maybe that's the way Swift owners like it. This isn't a supermini that most of those who'll settle for a Fiesta or a Corsa will ever consider. But it's an alternative they should have tried before signing on the dotted line. Here's an affordable car that doesn't feel like one. And a well kept secret that doesn't deserve to remain that way.